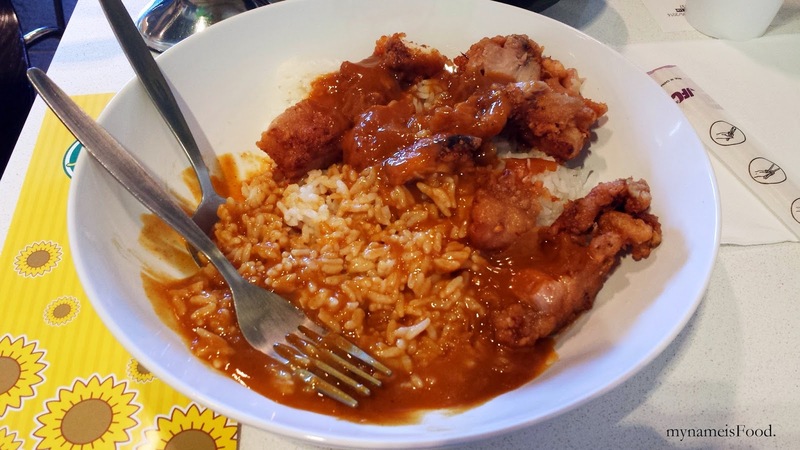 Himawari, Sunnybank Plaza, Sunnybank, Brisbane - my name is Food. 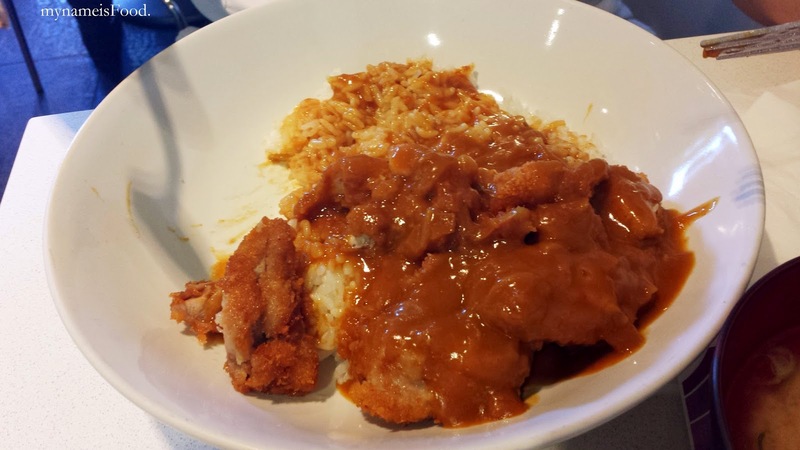 We ordered a 'Chicken Katsu Curry' and 'Chicken Karaage Curry'. I used to think that their chicken karaage was much better than the ones in Kadoya. Whilst the curry is a bit different when compared to Kadoya or Hanaichi etc, the way they served the dishes were also different. They would separate the curry sauce and the plate of rice and meat. In a way, I thought that this was quite a good idea since not everyone like their meat to be drenched in sauce, some may only want a bit of sauce whilst others would want a whole heap. When our dishes arrived, I was quite surprised at the level of presentation since I have never seen it this bad before. It just didn't seem like they were in the mood of working or what? I am not expecting a 'wow' presentation but at least a decent presentation of the meal you give out to your customers. What we got was a massive scoop of rice, with crumbed chicken bits everywhere around the plate (the photos were taken after we placed the chicken on one side of the rice). Just seemed as if they have just grabbed some chicken and just chucked it on to the plate without thinking or maybe lazy but sorry to say, that is not acceptable. The portion of the rice was way more than the chicken itself, we counted how many chicken pieces we were given on the plate and there were probably 7-8 'small' chicken bits with some being just fat and no meat, who wants to eat crumbed chicken fat when you expect a Chicken Katsu? with actual crumbed chicken breast.. I was quite disgusted when I saw the Chicken Katsu since it just seemed as if it was a mixture of Chicken Karaage and some chicken breast pieces. The chicken katsu also tasted like it was not all chicken breast but there were thighs as well in it and it just felt like we were being ripped off, the prices doesn't matter, but the restaurant wasn't even full and was quite empty so it would have been nice if they put extra effort to even just place the chicken one side of the plate instead of scattering it around the plate like a disorganized dish. Both dishes weren't hot when served and it just looked awful. 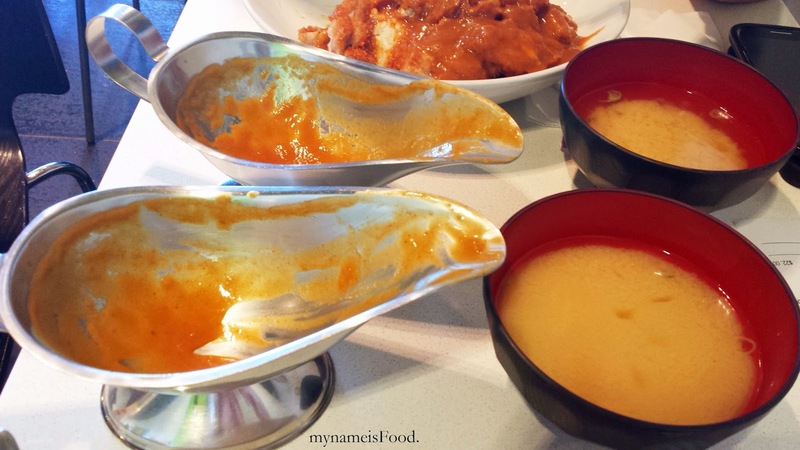 The curry sauce was still the same but of course it would be since it is pre-made and all they have to do is just pour the sauce over the dish. But for the chicken? Definitely was not a happy customer.